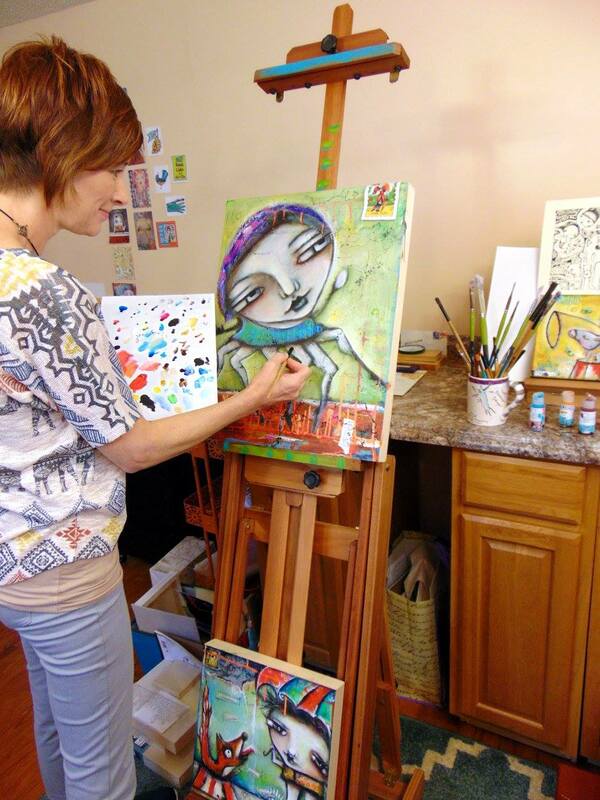 Sunny Carvalho is an accomplished artist and national instructor having taught at Artfest in Port Townsend, WA, and Art-Is-You in Minneapolis, Minn, Petaluma, CA, & Nashville, TN among other places. Her unique style is whimsical, lively, pleasingly odd, and shows that this humble artist never takes herself too seriously. A patient and skilled instructor, Sunny’s classes are a delight. When she stocks up her Etsy shop, it sells out quickly! Proficient and prolific in so many mediums including acrylic painting, mixed media, sculpting, ceramics, and fiber arts, Sunny “cracks herself up” when creating as humor is a constant theme in her work.